Is your family jumping up from three to five? Buying a new car is often top of the list of things to do before a new baby arrives. If you already have a toddler and you’re expecting twins, the subject of which family car you should buy becomes vital. 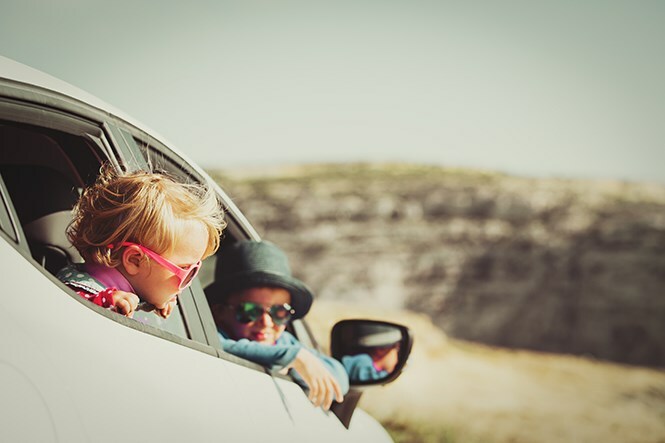 When your family rapidly expands from three (you, your partner, and one noisy toddler) to a family of five with two new twin babies, your car-buying needs change dramatically. Fitting one toddler child seat in your car, alongside two newborn car seats, means there is no room in your vehicle for friends or family - and often trips out with all three children will require a grandparent or friend on hand to help with all the little ones. Not to mention whether you are physically able to slot three child car seats side-by-side. So the family car you’re looking to buy needs to have seven seats ideally, to fit all three of your children, at least one guest, and all the gear needed for a day out with three children. With twins and a toddler, you’re likely to want the two baby car seats on the second row, and your toddler’s in the third row. Checking the number of ISOFIX anchor points available in the new car you buy is imperative. Here, we have chosen our favourite cars if you have twins and a toddler. The Audi might not be the first model that springs to mind when you talk about seven-seat people carriers, however it is definitely worth a mention as it features six (yes, SIX) ISOFIX child seat points. 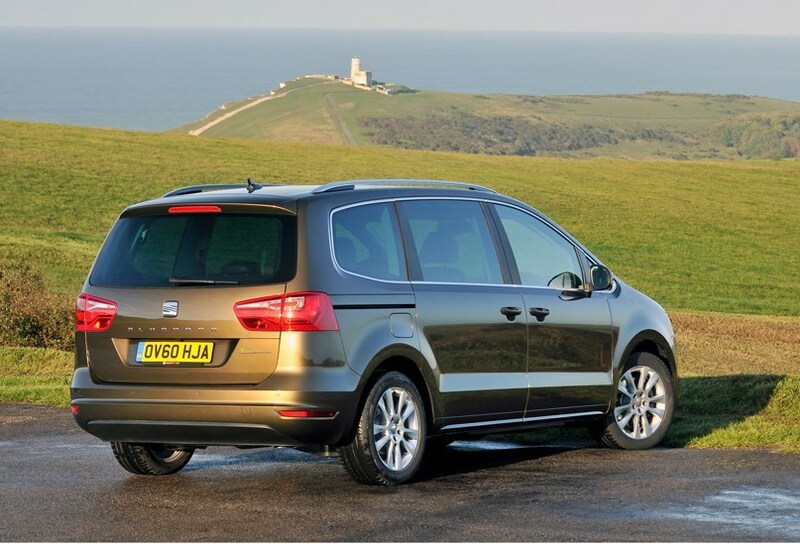 This is more than any other model featured here - the next highest number of ISOFIX points are the VW Touran and the SEAT Alhambra, both with five points. The number of ISOFIX points your car has becomes a vital statistic when your family grows from just one toddler to twins and a toddler. 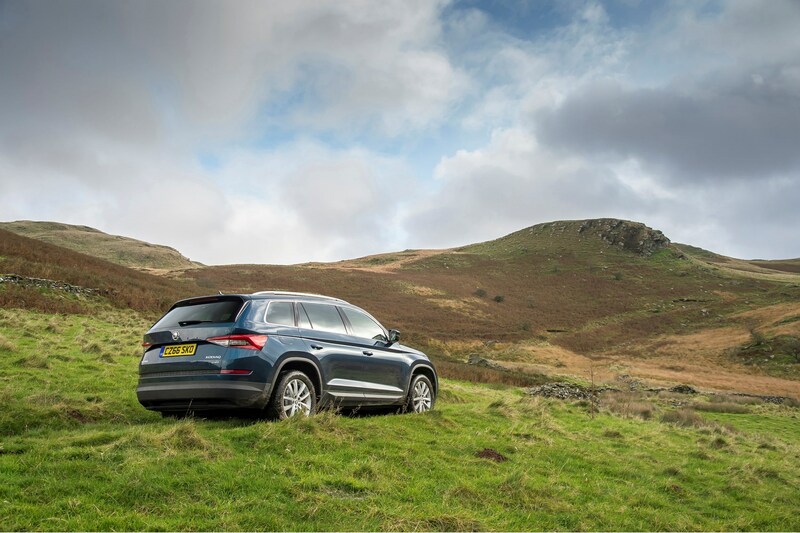 There are loads of safety systems as standard in the Q7, meaning your young family will be kept as safe as possible. This car isn’t a cheap option, so it’s good to see the level of standard equipment is high. 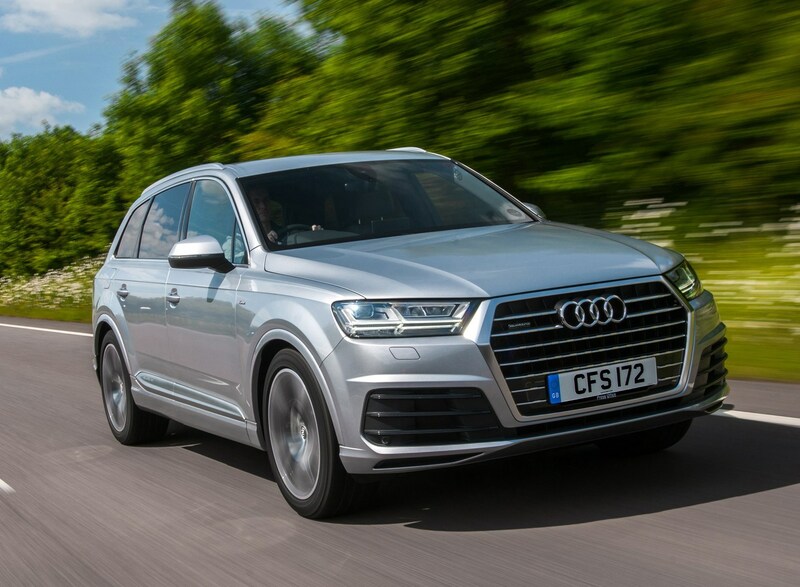 Its aluminium construction makes it light to drive, while the masses of technology make it an easy journey in the Q7 - even with all those children in the back. This is a premium, sporty MPV, which handles well for this sort of car although perhaps not with the comfort of some of the alternatives in this feature. There’s plenty of space in the middle row, although it is a bench rather than three individual seats, and the middle seat is quite narrow. In the third row, there are some great touches such as elasticated straps attached to the sides to keep children’s clutter out of the way, while the luggage cover stows in a space under the floor behind the rearmost seats. Lowering and raising the back pair of seats is easy, with a plastic lever to pull rather than the straps employed by some rivals. 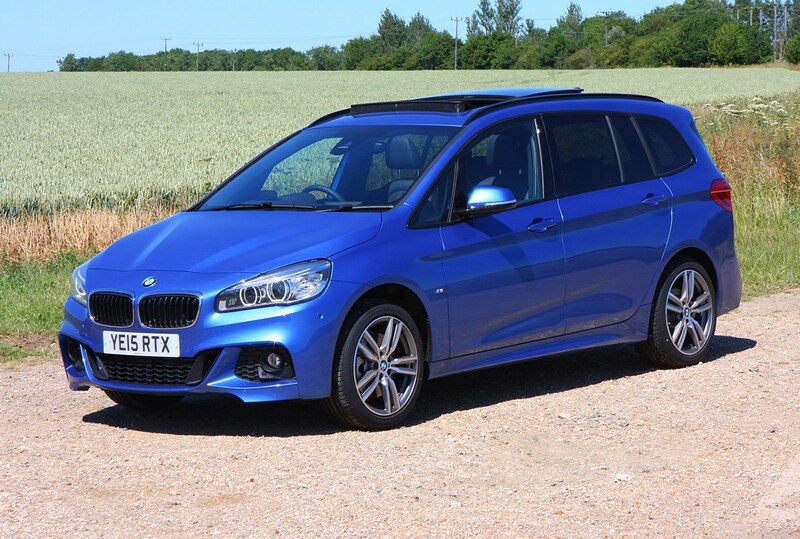 The Gran Tourer handles corners brilliantly, although if you’re buying a seven-seater you’ll be more interested to know that it corners flatly, not sending your passengers flying around. The inside design is of BMW’s naturally high quality, and it’s a really comfortable ride. The third row suits children best, as the head and legroom might be limiting for adults. The distinctive styling of the Picasso - like a spaceship, some children might say - makes it a popular seven-seater people carrier. There’s lots of room, and adults will be fine in the rear seats for short journeys. The second and third-row seats are individual, meaning plenty of head, leg, and elbow room. With lots of storage holes for children’s gear, everything can be tidied away - and all five rear seats fold down in under a minute. You can also transport long items thanks to the front passenger seat also folding. The Picasso is comfortable and soaks up potholes and bumps in the road, and it’s light and easy to manoeuvre around city centres. 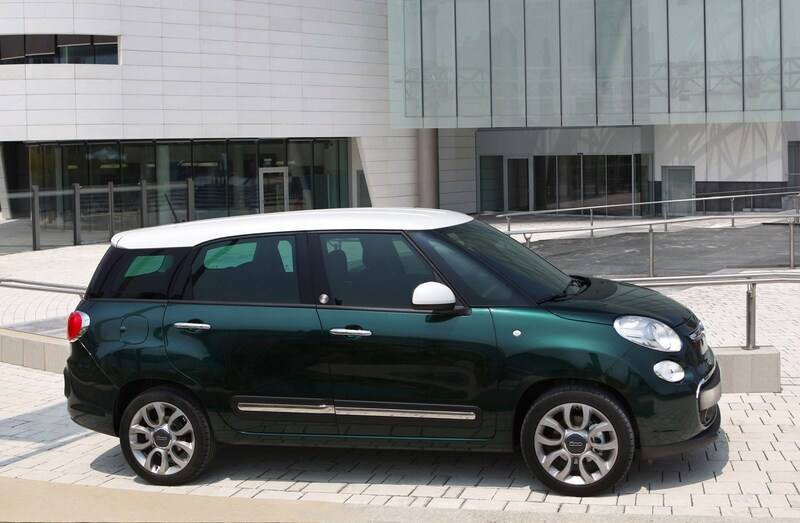 The largest of the 500 club seats seven, being essentially a longer version of the 500L - let’s call it the 500XL. It is a very compact car, and the third-row seats are definitely best-suited to children - but there’s still a lot of space. There are many of interesting options - including an in-built coffee machine - and you can customise the exterior just like the smaller 500s. The boot space in five-seat mode is a great 638 litres - so it’s a versatile five-seater as well as a compact seven-seater. Indeed, Fiat describe it as a 5+2. The biggest talking point about any 500 is the styling, but on the MPW the distinctiveness doesn’t go much beyond the front end - however there are lots of personalisation options to make it more individual to your family. The S-Max is a sportier version of the ever-popular Galaxy, with a lower roofline and better driving experience. So if you need bags of practicality from your family car, but still like to get enthusiastic behind the wheel, this could be the choice for you. 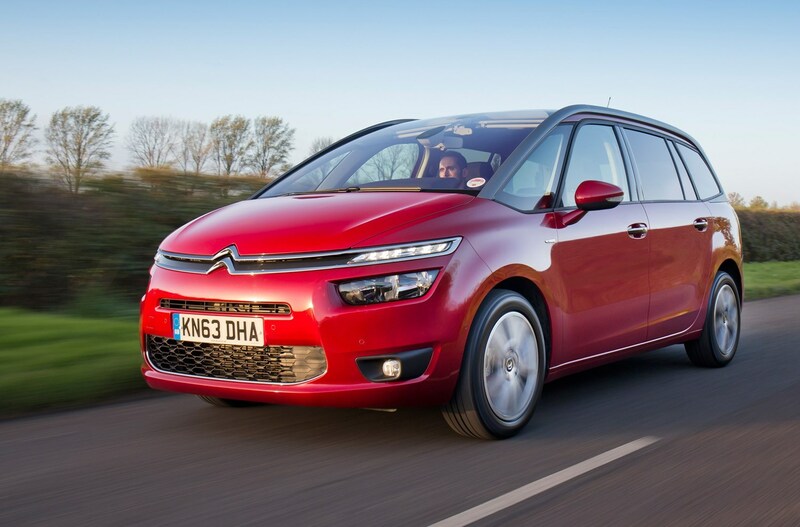 The S-Max really is built to suit the complicated needs of a modern family, and its practicality is exemplary. 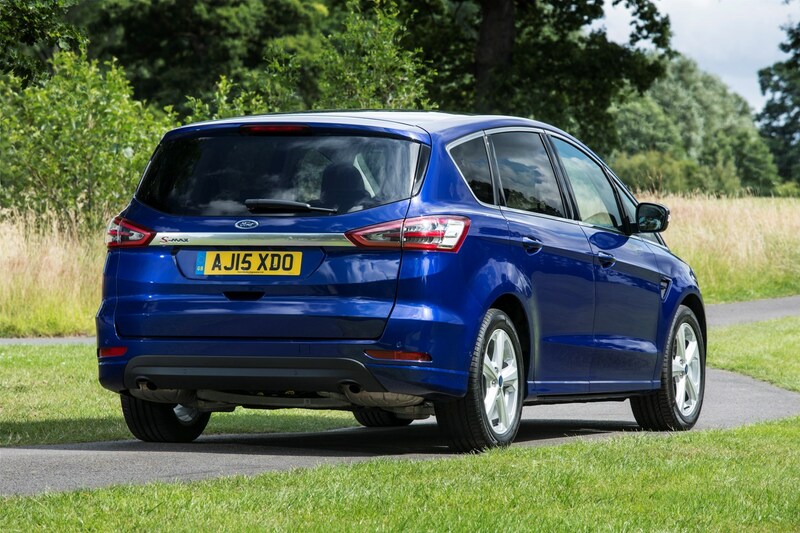 The car features Ford’s Easy Fold system, meaning the five rear seats can be folded flat to the floor at the touch of a button. Folding the seats down means the loading space grows to a huge 2,200-litres. The Easy Entry system means getting in and out of the back row of seats is super easy, as you can fold and slide the seats in one action. Getting into the back row is just as easy for adults as children. 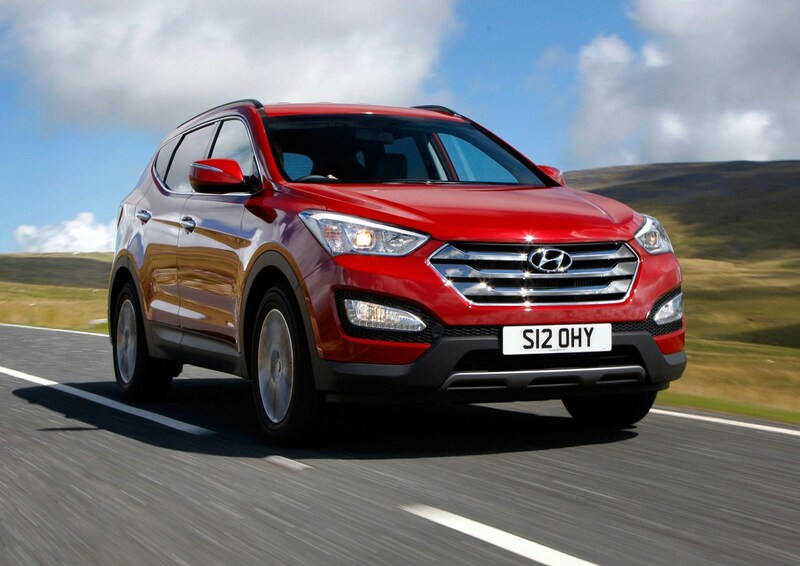 The new version of the Santa Fe happily takes on its rivals in the looks department, and is equally good value for money, too. There’s only one engine to choose from - a 2.2-litre turbocharged diesel - with either manual or automatic gearbox. Driving is smooth for such a large car, and visibility is excellent from the high driving position. Front and second-row legroom has increased, and the boot is larger too, at 516 litres. There’s lots of safety equipment on the Santa Fe, and it received an overall five stars from Euro NCAP. This is a big people carrier, and can carry up to eight people - you can specify six, seven or eight seats when you buy it new, choosing between benches with three seats or two individual seats for the back rows. 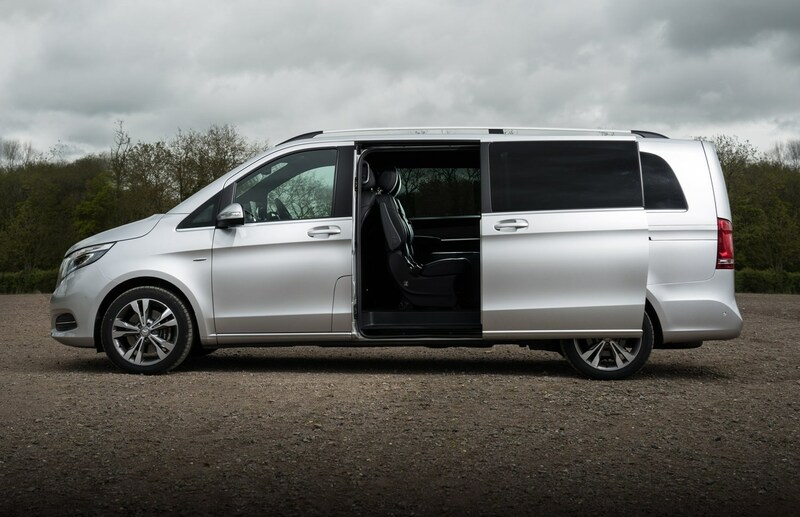 The V-Class is a really practical family car, with loads of boot space, and the ability to fill the boot up through a rear window - rather than always opening up the large rear door. The touchpad system works like a smartphone, although it can be tricky to operate while you’re driving. Infotainment options include sat-nav, Bluetooth, and internet connectivity. There are lots of safety features, including Attention Assist - which warns drivers when they stray out of their lane - Active Park Assist, and an optional 360-degree camera which makes manoeuvring this large car much easier. There’s no petrol engine available. And although it isn’t a sprinter (0-62mph in 11.8 seconds with the manual gearbox, or 10.8 with the automatic), it does get going and could reach a top speed of 121mph (although maybe only on a German autobahn). Measuring over five metres long, just under two metres in height, and slightly more than two tonnes in weight, there’s no way the V-Class can shake off its van roots, so its handling will always be van-like. 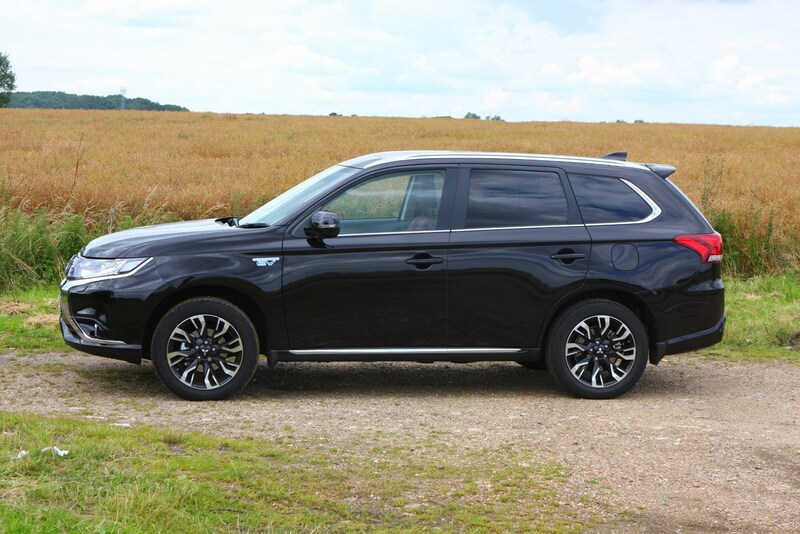 The Outlander’s new shape is sleek, and more aerodynamic, meaning its CO2 emissions are lower than the previous model. There is plenty of room when in five-seat mode, with seven-seat being best if children only are in the rearmost two seats. There are lots of cubbyholes for all your children’s odds and ends to store away. The seven-seater engine range is limited to the 2.2-litre diesel with either a manual or automatic six-speed gearbox. The PHEV (plug-in hybrid), with a 2.0-litre petrol engine, is only available with five seats. The boot load space has increased from the previous model; both the second and third row seats fold flat. The Grand Scenic has a good reputation for practicality, and rightly so - the interior has lots of storage space and family-friendly features. The second and third row seats fold down at the touch of a button (or via one of the many menus in the multimedia system). Load space with all seven seats in place is modest at 233 litres (the larger figure with all seats folded down is yet to be confirmed by Renault at the time of writing). The ride is comfortable at cruising speeds, but sadly at lower speeds it struggles with the bumps and lumps of British roads. Lower priced than its sister model, the VW Sharan, the Alhambra still retains all the VW’s attractions. 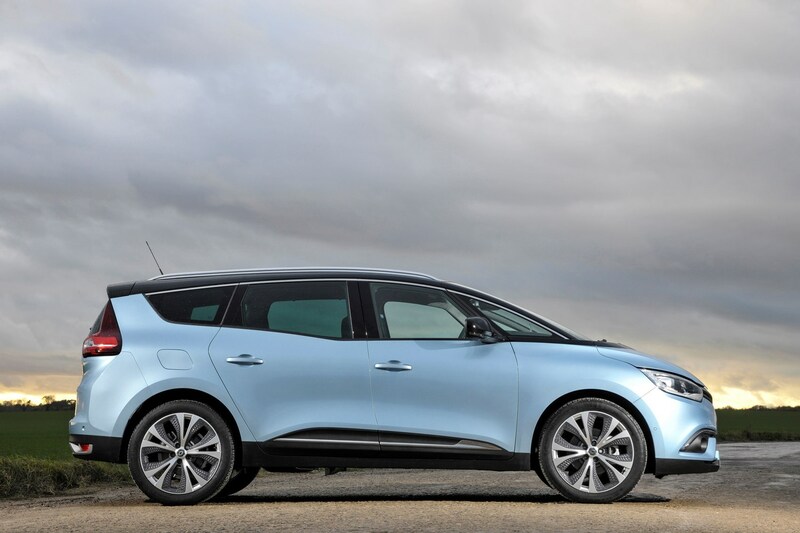 It’s really spacious, with the rearmost two seats roomy enough for adults and not just children, unlike many other seven-seaters - and it has five ISOFIX points. The biggest selling point of the Alhambra is the sliding doors to access the second and third rows - which can be electrically operated - meaning less chance of the kids swinging the doors open on to another car in the car park. The boot space with all seven seats in place is 267 litres, while folding down the second and third row gives you 2,297 litres. All seats are quick and easy to fold down with just one hand, with rows two and three folding completely flat. It has weighty steering, meaning cornering this large car at speed is easy, and it copes with bumps and potholes with ease. The Skoda Kodiaq, or the Skodiaq, is a seven-seater with a much smaller price tag than many of its rivals, but is anything but a budget car. It feels like it should wear the badge of sister company VW, with much more space and equipment than the smaller VW Tiguan. In terms of engines, it’s best to plump for the mid-range 150hp petrol and diesel, or the 180hp petrol and 190hp diesel, in order to cope with the large load it’s capable of holding. The interior materials are of a high quality, and feel much closer to ‘premium’ than you’d expect for the price. The different seat configurations allow lots of boot space, up to 2,065 with all seats folded. The rearmost seat is OK for full-sized adults although perhaps not for long journeys. 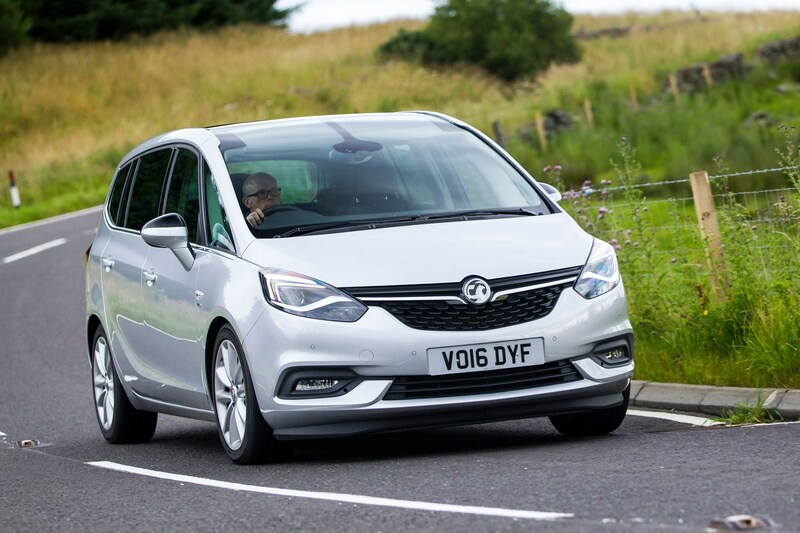 The updated Zafira has an upgraded Flex 7 seating system - which means the middle-row bench has been replaced with three individual seats, so you have a lot more flexibility in terms of seating options. With five seats in place there is 710 litres of luggage space, while with all five seats down you get a maximum of 1,860 litres. There’s enough room with seven seats for a couple of soft bags, but there are loads of storage compartments - Vauxhall says up to 30. The storage system between driver and passenger is set on rails, so your cup holders and armrest can move back to reveal another deep storage hole. Also available is the FlexFit bike holder, carrying heavier bikes without a restriction on speed; add an adaptor for up to four bikes. You won’t get much excitement from the driving experience, but then you probably wouldn’t expect to with a people carrier. There’s lots to like about this Volvo off-roader, from the choice of three engines, to versatile interior and lots of technology. It’s a very easy car to drive - smooth, quiet, and comfortable. It’s as reliably safe as you’d expect from a Volvo, with plenty of safety systems to keep your family out of harm's way including a low-speed automatic driving system for traffic jams. The second row of seats slides forwards and backwards, reclines, and has ISOFIX points - and you can also have a middle seat which transforms into a booster seat. Perfect if you have twins and a toddler. The XC90 is very comfortable on long journeys. The infotainment system in the dash works with a touchscreen - one of the better ones we’ve used in a car. 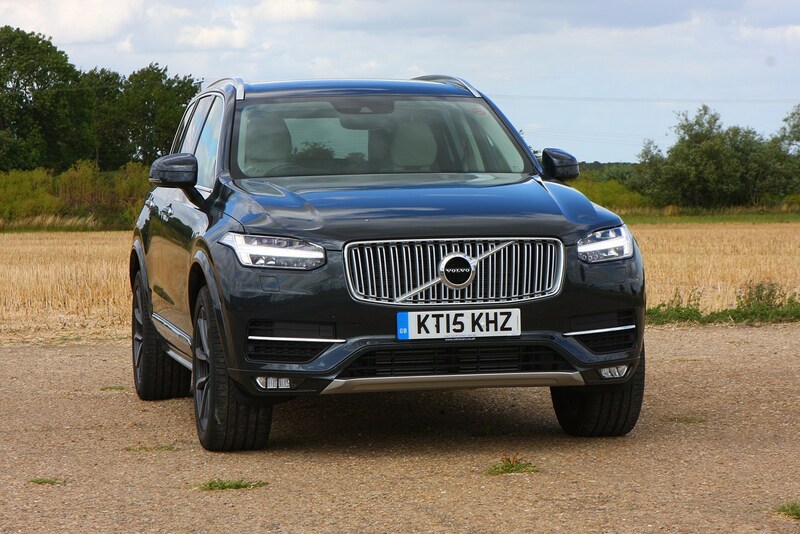 There’s a lot of equipment in the XC90 - read our review for the full list. The XC90 is nothing if not practical, with loads of space, and adults will fit fine in the seven-seat option, although the rearmost seats are intended for people shorter than five feet seven. 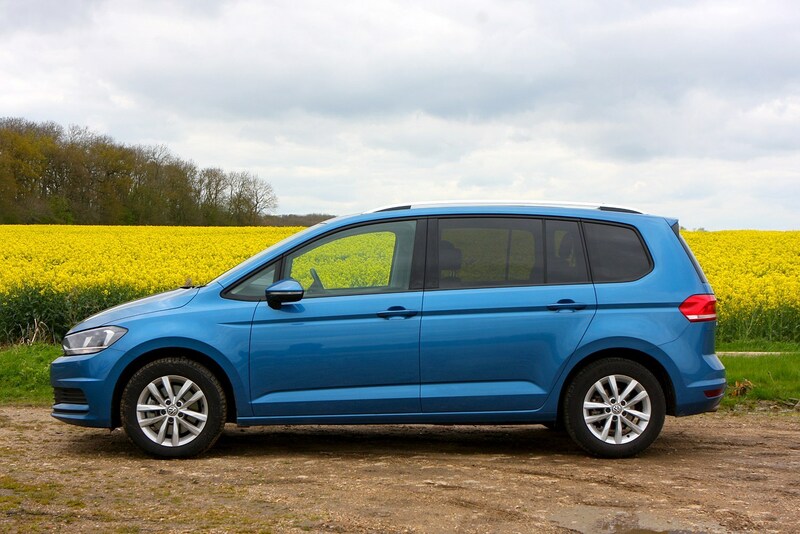 The Touran is back as an even better MPV, more practical and less van-like than the previous model. With 47 cubbyholes around the cabin, there’s certainly plenty of room for all your children’s gear. One excellent feature is the microphone that amplifies the driver’s voice for the second and third row passengers, perfect for responding to your twins and toddler asking for the millionth time: “Are we nearly there yet?”. The middle row is made of up three individual seats which tilt and slide forwards and back, and all seats except the driver’s fold flat.